Superdry women’s Rosey lace top. A delicately soft lace long sleeve top, perfect for a stylish office outfit or to wear for a ‘jeans and a nice top’ occasion. 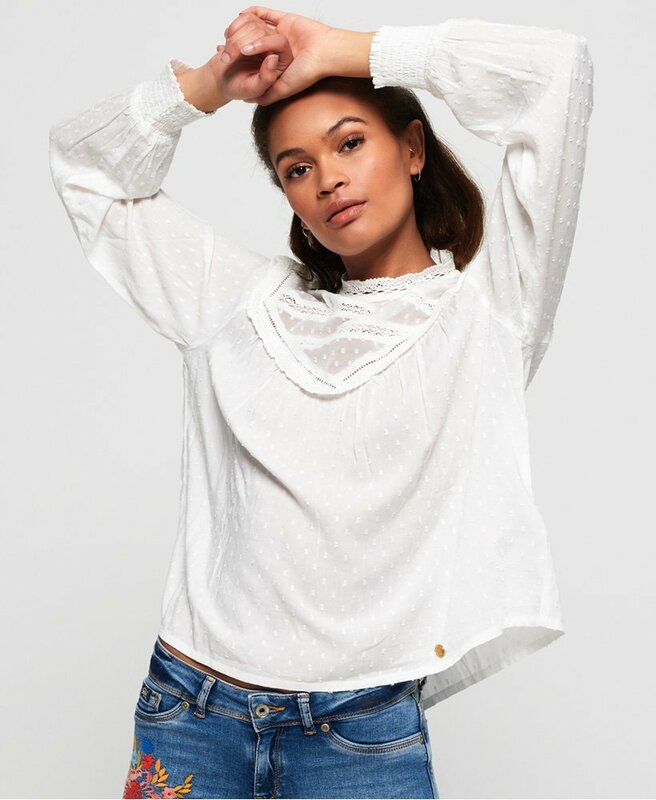 This luxurious long sleeve top features sheer detailing across the chest and shoulders, an intricate lace neckline and elasticated cuffs for the perfect fit. For the finishing details, the Rosey lace top has a button fastening down the back and a Superdry badge above the hem. The beautiful lace detailing throughout adds feminine flourish to the top, making it perfect to pair with a skirt and heeled boots.